Field Ready provide additive manufacturing (3D printing) in the ‘field’ where rapid, low cost supplies are needed most. They were awarded our 'Journey to Scale' grant in 2016. Lack of supplies and long logistical chains in rapid onset disasters continues to be a significant challenge for humanitarian responders. In rapid onset disasters simple procurement orders can take weeks or even months to arrive, impeding humanitarian operations. Research estimates 60-80% of humanitarian aid is spent on logistics, making it the most expensive aspect of humanitarian assistance. Existing supply chain practice includes; procurement, transportation, warehousing and ‘last mile’ distribution, this is often undertaken in an environment of considerable uncertainty and disrupted physical and communications infrastructure. Supply chain solutions to date have focused mainly on improving and optimising the status quo. Field Ready provide additive manufacturing (3D printing) in the ‘field’ where rapid, low cost supplies are needed most. This project aims to transform the way humanitarian logistics are done by disrupting and improving supply chains through the use of technology, especially 3D printers (3DP), engaging and training local people in this approach. 3DP provides one way to disrupt the current challenges of providing relief programmes with the right supplies and may also help overcome barriers to importation that governments sometimes impose. International humanitarian response has yet to take full advantage of the opportunities afforded by such recent technological advances. 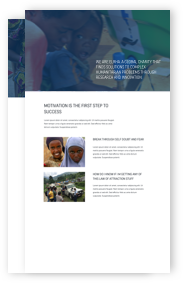 After a HIF invention grant to pilot this technology proved successful, continued funding enables the development of this innovation by documenting and creating practical action plans and guidelines with the aim of scaling up this innovation in the humanitarian sector. Field Ready is now transforming how aid is provided by moving manufacturing to where items are needed and training others in these skills, we have now demonstrated the potential in Haiti and Nepal in the health and WASH sectors, and have identified need in other responses and have developed our capacity to do so. Communities devastated by disasters will be empowered (with knowledge, skills, and equipment) for economic growth and resilience. In their new vlog Field Ready explore what the future of aid should look like, and how their journey to scale plays a role. In their second vlog the team go to South Sudan to help NGO Water for South Sudan to create replacement parts for well drills in the field. Field Ready begin their journey to scale. Humanitarian supplies made in the field: It’s a simple idea with profound and far- reaching implications. This project is one of three to be given a HIF 'Journey to scale' grant. The team go to Nepal to manufacture important items in the field and train others to do the same. Dara Dotz presents the project at TEDx in Kansas City. The team are back in Port-au-Prince to meet with partners and maximizing the printing they've been doing. The team are printing and testing the fabrication of few medical disposables such as oxygen tube connectors, and providing introductory training for five aid workers based in Port-au-Prince. Field Ready is based on a simple idea: make useful things where they are needed. It is possible to transform and disrupt current logistical supply chain practices this way. A good place to try this out is Haiti. All our Journey to Scale projects have been keeping video diaries of their progress. Watch them to see how the different projects have grown. The only service of its kind, Words of Relief bridges existing language gaps to facilitate two-way communication andimprove access to life-saving information. Read our report on the challenges to scaling innovation in the humanitarian sector. Make Music Matter & Panzi Foundation are scaling their innovative approach to reducing levels of anxiety and PTSD in GBV survivors through its unique approach to music therapy.